A year ago a family packed up their belongings and moved house, relocating from the SOS Children’s Village El Jadida to a red-brick house in the city center 15 minutes away. SOS mother Khadija had her apprehensions about losing the support she had become accustomed to among other SOS families, but the family quickly integrated into the community, allaying her fears. 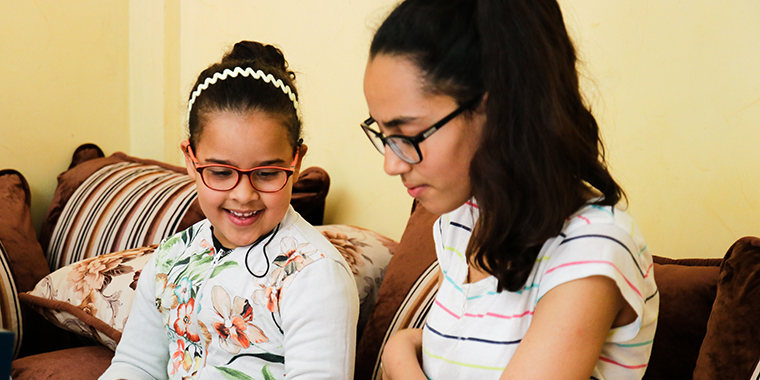 When it was suggested that SOS families from SOS Children’s Village El Jadida, located at the port of Morocco’s Atlantic coast, had the option to move into houses in the city center, SOS mother Khadija was ecstatic. The prospect of being closer to the city’s community was exciting and so, together with a second SOS mother, she volunteered to be part of the initiative. 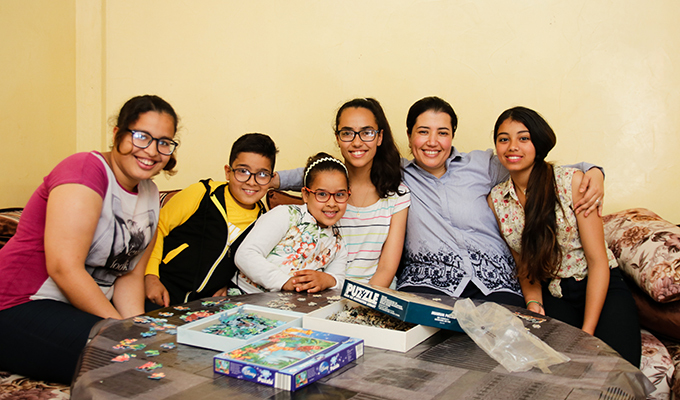 “I wanted more independence for me and the family and felt that the new integrated approach would suit us best as family,” recalls Khadija, who has been with SOS Children´s Villages for 13 years. “We were all excited. Then, I became worried about what it would mean not to have the support network that you have when you live among SOS families with access to SOS social workers, educators and other support staff,” says the SOS mother of eight. “The children were also a bit worried about moving away from their familiar setting – being further away from their friends in the village. But they are happy now with the new advantages of being integrated within the local community,” she adds. Living in the city has brought a lot of advantages to the family. Going to shops and cultural events are much easier, the children have made new friends, and the neighbors have welcomed the family into the community. At the same time, the family remains very much involved with the other SOS families and staff. Occasionally, SOS co-workers also come and visit the family at their home. After she invited some of the neighbours over for traditional mint tea to meet her and the children, these preconceptions quickly faded. Since that day, the family regularly socializes with the neighbors, and they visit each other during celebrations. “On some occasions the children have come home during free periods at school to find that I wasn’t at home, and then they’d simply go to one of the neighbors and spend an hour there. They are very social like that,” says Khadija, sitting on the couch in her no-longer new living room looking onto the street. 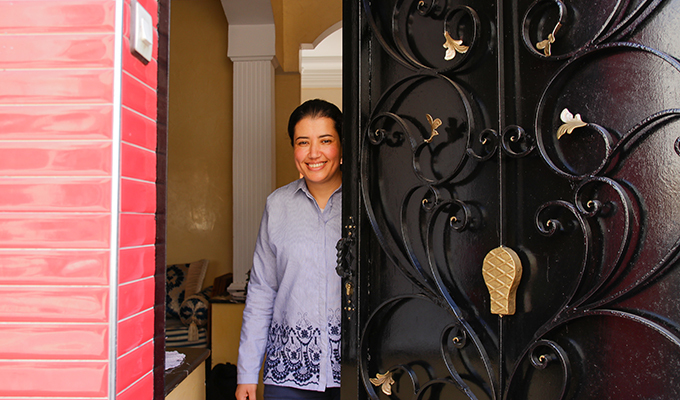 Khadija opens the door to the family's home. Photo: Lydia Mantler. Reflecting on how the family has become accustomed to the changes in the past year, she mentions the children have been able to make many more friends of their own age. “Now we are just the family that lives in house no. 5 on the street. Only very close neighbors are aware that this home is an SOS family,” she points out. “All in all, I’m really happy about how this has turned out. It has been a positive experience. I hope to see more SOS families further integrated within their local communities,” Khadija concludes. *Names of children changed to protect their identity.